Non-renewable resources have always been hot cakes. In the recent past, Gas prices have been surging high due to the increase in consumption. This is surely affecting our pockets. This article suggests you some ways in which you can decrease your gas consumption and thus your cash consumption. 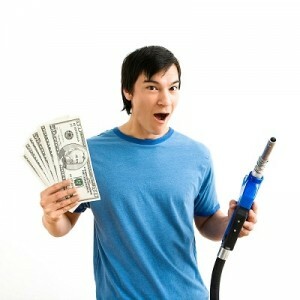 We hope these tips help you in some way and you are able to save money on gas. Limit your drive to Filling Station: It is suggested to fill up your car to the brim in one go rather than wasting your time and fuel standing the queue of the filling station time and again. You should wait until your tank touches 25% for re-filling. Further delay will not only decrease the mileage but can also shorten the life of the electric fuel pump especially in the cold weather. Flat tires:Tires when punctured or less filled decrease the mileage of your vehicle. It is advisable to fill them with air according to the recommended pressure. However, in the old and somewhat withered tires, pressure is advised to be kept a few psi higher than the recommended pressure. Right air pressure in all the tires helps maintaining the balance and thus the smooth running extracts better mileage of the vehicle. Hybrid vehicles: Hybrid vehicles offer you two direct benefits. One is obviously on the fuel price. Second is the tax benefit you get from the government for using fuel saving vehicle. Along with the running costs, we would recommend you to check the insurance cost for your chosen hybrid vehicle, which is generally higher in comparison to a normal vehicle. Using a smaller car or a two-wheeler: A smaller car generally draws you a better mileage because of being lighter. However, no comparison can be done with the two-wheelers who are far cheaper and draw more than double the mileage. Drive at constant speed and avoid idling: Driving at a constant speed and avoiding quick braking and accelerating helps your vehicle to draw better mileage. When the car is on and not moving, it gets exactly 0 miles per gallon and if you turn it off, it will take gas equivalent to just 60 seconds of standing still while starting. Planned trips and use of GPS: The use of GPS helps you to travel in a planned way by finding the fastest and the shortest distance for you. This saves you both fuel and time. Keep distance and respect stop signs and lights: It is advisable to keep safe distance from the car going in your front so that you do not have to apply sudden breaks. Likewise, keeping a tab on the stoplights can save gas. Sudden braking and sudden acceleration, both consume much more gasoline in comparison to driving at a constant speed. Driving at high speeds is also not advisable from both the safety and economy point of view. One should always follow the speed limits. Check Air conditioner usage: Usage of AC consumes gasoline. You can open your windows especially while driving at low speeds. AC should be used only in very hot weather or while driving on the highway. AC when used regularly, consumes around eight percent of your car’s fuel. Park in a cool place: It is a known fact that Gasoline evaporates right out of your car’s tank, and this process becomes faster when it is parked directly in the sun. Parking in a cool and shady place helps this aspect and also keeps it cool from inside, eventually decreasing your AC usage. In case you have to park in the sun only, make sure that the gas tank is not facing the sun. Majorly all the modifications made in the car impact the mileage on the negative terms, be it anything from alloy wheels to power improvements. However, modifications like turbocharghing and chip tuning improve the mileage. You should keep a tab on the mileage of your vehicle. Keeping a record of the amount spent on re-fueling and miles run help you a great deal. In case the vehicle fails to give you the desired mileage, you would at least be able to get it repaired. Mileage difference keeps on decreasing with the increasing speed. For instance, car would extract much more mileage while driving at 10 MPH in comparison to 5 MPH but the difference remains nominal when the speeds go to 55 and 60 MPH. A manual transmission vehicle is supposed to provide you far better mileage in comparison to an automatic engine. If you are one of those unlucky ones who have to deal with traffic jams on a daily basis while going or coming back from work. Try to see if the jams are on a particular time and if there is any possibility that you can avoid them. It is always better to avoid a traffic jam even if it involves an inconvenience of getting up early or spending some time at workplace. Turning the vehicle’s engine off and on repeatedly harms the mileage. It is advised not to turn off the engine if you are stopping for less than 60 seconds. Though experts recommend that in cold weather, you should let your vehicle warm up for some time rather than just turning it on and start driving. Safe driving is the most important thing. Gas savings will not do any good to you if just for this sake you bumped into one of the cars driving normally. You need to be very careful while switching between neutral and driving gears going down hills. You might be going down much faster than you estimate and end up losing control over the car. This is also considered illegal in some jurisdictions. However, cars consume more fuel but they are far safer for the passengers, especially in some driving conditions. The correct tyre pressure keeps your journey smooth and helps you a great deal in saving costs on gasoline. when will they find a great alternative? Some nice tips here. I always try to cycle wherever I can as the prices at the pump at the moment are jus crazy!!! Great post. These are all helpful, since the gas price have been rising up. This blog should be seen by car owners. I guess they will surely like this. Always recycle your propane tank if it is leaking, rusty or old. Exchange it when needed. Recycling will provide the world a better place. It is true that gas saves a lot of money than petrol though the price of gas is rising. Still it is more affordable than petrol. I have came to know that usage of Gas shorten the lifetime of an Engine. I would like to know if it is true or not.